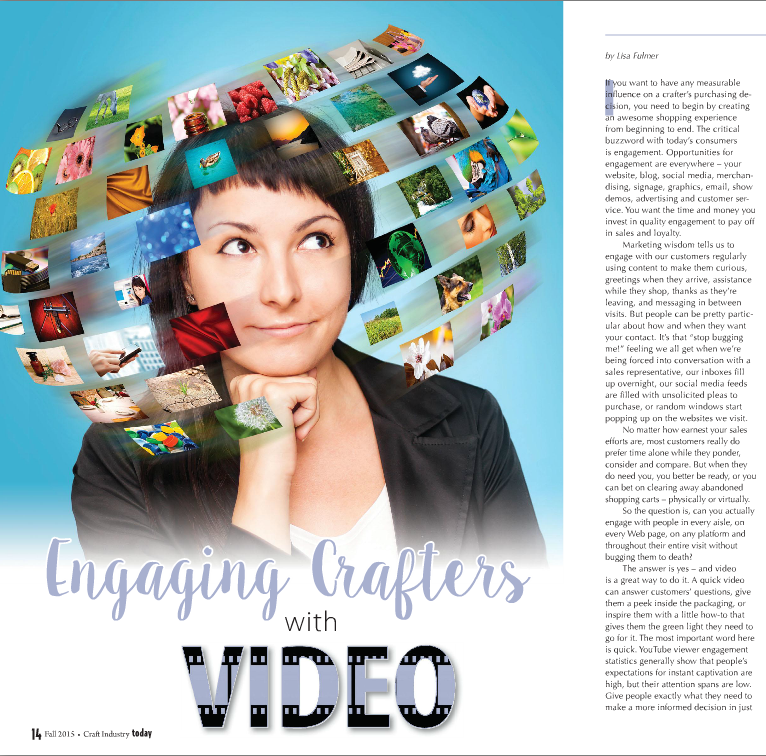 Check out the article I wrote (pages 14-16) for Craft Industry Today, a monthly magazine for members of the Craft & Hobby Association. 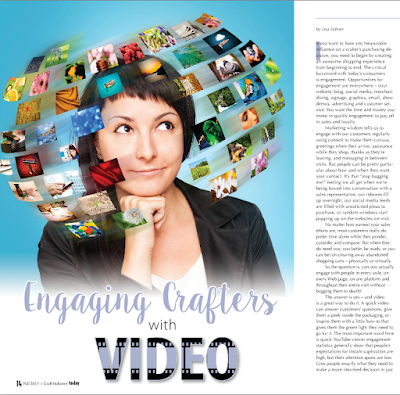 I talk about how to use video, in your shop and on your website, to engage with more people and help them make informed purchasing decisions. Quality engagement means happier and more loyal customers! © Lisa Fulmer. Simple theme. Powered by Blogger.